At Adapt Health Care, we want to you benefit from all scheduled therapy appointments with us so we can help you achieve your goals. Our Cancellation Policy aims to minimise cancelled or missed appointments and provide you with information about how to cancel or reschedule services if you need too. If you cancel a scheduled therapy appointment after 3pm the business day prior to the scheduled appointment or you do not attend a scheduled appointment without providing notice, a cancellation fee will be claimed from your NDIS Plan. In line with the current NDIS Price Guide 2018-2019, our cancellation fee is 90% of the agreed price for the cancelled therapy appointment including travel. 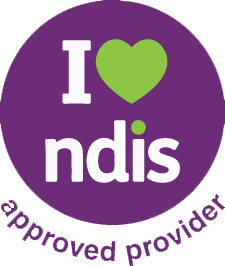 We may claim up to six hours from your current NDIS Plan to cover the cost of late cancellations or missed appointments where there was no notice provided. For any subsequent services cancelled late or not attended we may invoice you a $50 cancellation fee – this is not payable by the NDIA. If you repeatedly cancel or do not attend scheduled appointments, this may result in a loss of your regular appointment times or termination of services. We will provide 14 days’ notice of termination of services in writing to enable you or your representative to choose an alternative service provider to deliver your therapy. We will make reasonable efforts to make individual arrangements with you to minimise cancelled or missed appointments. If our therapist has to cancel or reschedule an appointment with you, we will provide you with as much notice as possible and you will not be charged a cancellation fee. To cancel or reschedule an appointment with us, please call our admin team on 1800 085 030 or contact your therapist directly on their mobile number.